It gives us great pleasure to announce the release of a new song dedicated to the survivors of Typhoon Haiyan in the Philippines. 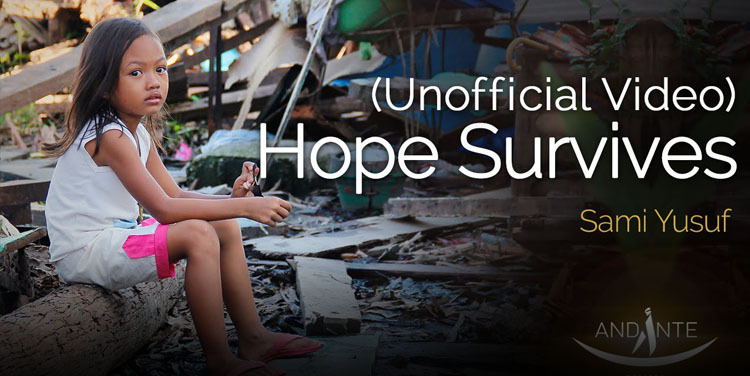 Sami Yusuf’s non-commercial charity single, Hope Survives, is the backbone of the Live Feed Philippines campaign. The collaboration between the multi-million selling artist Sami Yusuf and the United Nations World Food Programme (WFP) aims to encourage donations for the victims of Typhoon Haiyan. “Hope Survives” is now available for FREE download. Sami Yusuf urges his fans to make an online donation here and to support the Live Feed Philippines campaign , for only $75 can feed a family for an entire month. Our goal is to direct people to WFP’s donation page. Please click here to watch Sami Yusuf’s personal appeal in his latest blog.